One family holiday when I was a child we went to the Dordogne region of France. I don't actually remember too much from our trip apart from getting a big tub of Playmobil from one of the French hypermarkets, but one part I do remember is visiting the Lascaux caves complex. The Lascaux caves are home to a dramatic series of paleolithic paintings, considered to be some of the best preserved upper paleolithic paintings in the world. Among many things they show horses, cattle, bison and people as well as geometric and abstract images. 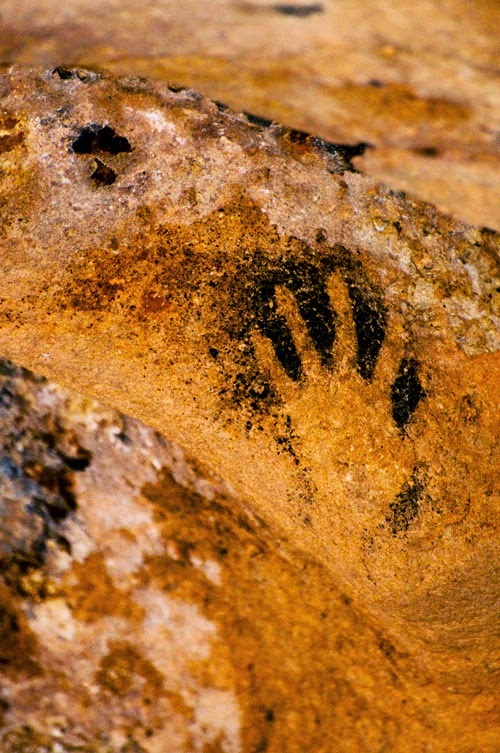 The paintings are estimated to be over 17000 years old. There is speculation over the purpose of the images, maybe they were star charts, maybe they were religious in nature. Maybe they were for story telling or even just for fun. Whatever they were for, it's amazing that the marks made by previous generations so long ago are still there for us to see. "What we love about the pictures isn't their quality, although that's improving, but it's the process and expression behind it"
Not so far removed from cave painting are the drawings and paintings my kids make. In the last couple of weeks our three year old son has developed a passion for colouring-in, not something he'd been all that bothered about to this point. The walls of our house are strewn with our kids' artwork, although not the kitchen as we've learnt it's far too tempting there for our Guide Dog puppy Viking! By most standards, the felt tip, crayon and water-based paint pictures around our house aren't world class. They're not something you'd go to an art gallery to see. The colouring is outside the lines, the figures and animals aren't in proportion, the colours are sometimes garish. What we love about the pictures isn't their quality, although that's improving, but it's the process and expression behind it. We want to give our kids as much space as possible to express themselves in all kinds of different ways. To practice the process in all kinds or areas. Something we're very conscious of is praising the process - so rather than saying 'you're a great artist', which can actually put pressure on them and can stifle creativity in the long run, we say things like 'look what you did when you worked hard' or something along those lines. Ironically when I was at primary school I remember our art teacher telling the class off for not working hard enough, then picking me out as a good example of someone who tried hard - although I remember feeling sad about this because the gist of what she'd said was that I wasn't very good but tried hard anyway! I gave up art at school a few years later. The question that occurred to me on this topic is: what's worse than doing a bad painting - making bad art? And the answer is making no art at all. And when I use the word art here I don't just mean cave paintings, or felt tip or crayon, but whatever is in your heart to express. Whatever you've been created to create. "The thing that makes you different may turn out to be the thing that gives you life." The worst thing is not to express it, for whatever reason - rejection by others, comparison with other people's gifts and skills, modesty or fear. We're all a unique blend of our experiences, environments and talents and we all have something to contribute to those around us. Over tea the other afternoon I was reading my kids one of Aesop's fables. This one was a fable I'd not heard before, the tortoise and the ducks. I knew about the tortoise and the hare, but not about the ducks. 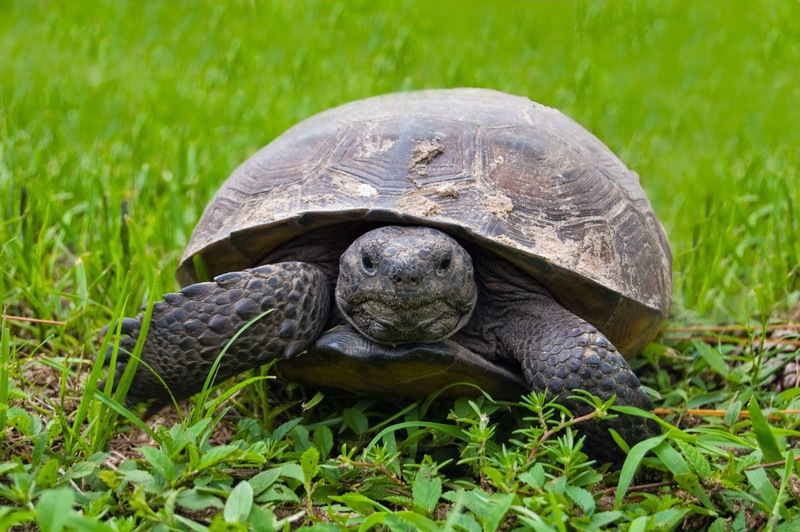 I won't duplicate it here, but the essence is that the tortoise spends most of the story comparing itself to other animals and focusing on what it doesn't have, when in the end the thing that makes it different, it's shell, turns out to be a lifesaver. The moral at the end of the story is this: "Never disregard that which may prove to be the most valuable". The thing that makes you different may turn out to be the thing that gives you life. Although I don't need to do it so often these days, my signature is a meaningful mark. At work, when I put my signature to a report or a letter I am taking ownership and responsibility for the quality and content of that document. It's ok for draft documents to go out unsigned, but for the real thing I need to take responsibility and leave my mark. For a work of art, the absence of a great master's signature can be the difference between pricelessness and obscurity. "When do we begin to take ourselves so seriously that our creative well seems to dry up?" What we often choose to forget when we're comparing our cave or crayon creations with the works of great masters is that even they had to refine and refine their process. My kids' artwork is playful and inquisitive, and long may that continue. When do we begin to take ourselves so seriously that our creative well seems to dry up? In my book Life Space I talk about the Japanese artist Hokusai, a master of the woodblock technique, although commentators consider his best work to have been done in his 80s. Picasso spent years painting in a realistic manner before experimenting with different forms of artistic expression such as cubism. So often we compare all our practice with other people's highlights. "Whether you feel your offering is stone age cave art or cubism, be confident to leave your mark"
"I am created to do something or to be something for which no one else is created; I have a place in God’s counsels, in God’s world, which no one else has; whether I be rich or poor, despised or esteemed by man, God knows me and calls me by my name. God has created me to do Him some definite service; He has committed some work to me which He has not committed to another. I have my mission—I never may know it in this life, but I shall be told it in the next. Somehow I am necessary for His purposes, as necessary in my place as an Archangel in his—if, indeed, I fail, He can raise another, as He could make the stones children of Abraham. Yet I have a part in this great work; I am a link in a chain, a bond of connexion between persons. He has not created me for naught." Maybe you're hesitant to leave your mark. Maybe you're facing a blank canvas and don't know where to start. Wherever you are, whether you feel your offering is stone age cave art or cubism, be confident to leave your mark. Like the tortoise, you have something unique about you, and that's worth sharing - even if it might not be appreciated for over 17000 years like the Lascaux cave paintings! Thanks for taking the time to read my thoughts on leaving our mark! If you've enjoyed it why not share it with your friends on social media? Why not subscribe to The Potting Shed Podcast on iTunes for the audio version and much more (direct RSS feed is here).